(1) Unwashed, fertile homestead eggs seem to store much better than washed, unfertile agribiz eggs. Why? Probably for the simple reason that they're unwashed ... and not because they're fertile. Hen fruit, as it comes from the chicken, is coated with a light layer of a natural sealing agent called "bloom". And, while a good wash may make a batch of eggs look more attractive, it also removes this natural protective coating ... leaving the eggs more subject to aging and attack by the air and bacteria in the air. (2) The very best way we've found to stash eggs away for long-term storage is in a sealed container at a temperature of 35° to 40°F. Their whites may become somewhat runny looking over a period of time, but even after seven months—the cackleberries stored in this manner smell good, taste good, have a good texture, and—in short—seem "almost fresh". Update 2011-02-19: This discussion inspired me to do some experimentation of my own. We keep chickens, so I plucked two eggs on October 2, 2010 and put them in the refrigerator. I just pulled them out today. Here's a picture of one of them next to a fresh egg. One of these eggs was laid yesterday and the other was laid 140 days (4 months 17 days) ago. Can you guess which is which? There was no trace of odor, but the whites were definitely lacking in firmness. I scrambled them. They didn't make for very fluffy scramblers do to the watery whites, but they tasted fine. So, I can confirm the findings of the Mother Earth News experiment. Fresh, unwashed eggs stored in the refrigerator were perfectly edible after 7 months 15 days (227 days)! The short version: 3-5 weeks in the shell. Any egg can go bad, of course, but undamaged eggs will last many weeks in the fridge and I've read studies that have even claimed to have edible eggs after a year at room temperature. I don't refrigerate the eggs that my chickens lay and have yet to see one go bad. Eggs fresh out of the chicken have an antibacterial bloom and will keep for a ridiculously long time at room temperature. 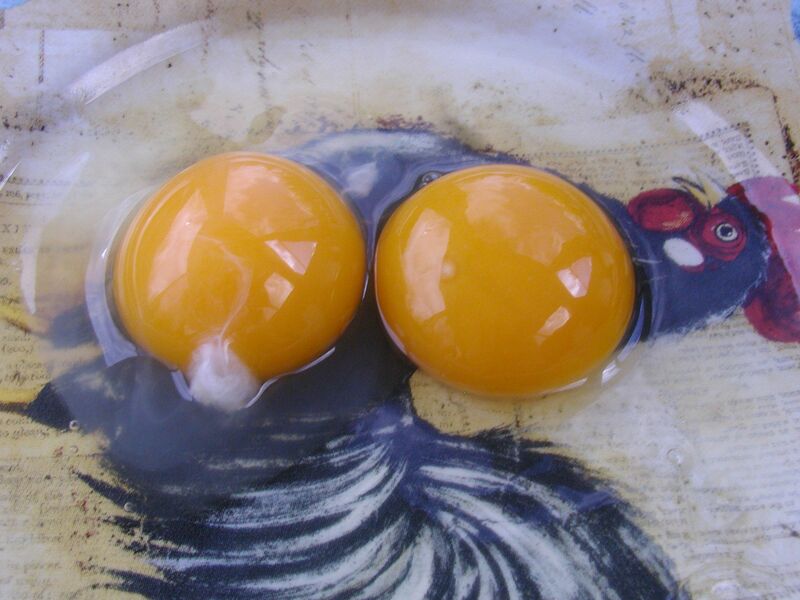 Commercial eggs are washed which removes the bloom and considerably shortens their lifetime. All that said- there is a big difference between safe and useful. Useful depends on what you plan to do with it. As an egg ages its individual proteins break down. Eventually the egg white will be watery and the yolk flat and fragile. This can be a good or a bad thing. If you are relying on the structure of the white say for poaching or angel food cake you want the whites as fresh as possible. If you are going to boil them you want them older so the shell will come off more easily. If they are going in a cake mix you probably don't care either way. With my chickens' eggs from 1-3 days old or so the whites are so sturdy I can pick them up by pinching with two fingers and boiled eggs are impossible to peal. After 4-5 days they are more like what I would get in the store and after a week at room temperature they start getting runny. I have done some experiments with freezing eggs as I get quite a few of them during the summer. I cracked the eggs into an ice tray and then bagged them after they were frozen. They thawed well in the fridge and were very usable. I used them for angel food cake and they worked very well. One batch, due to my own negligence, got pretty bad freezer burn. They were basically dehydrated and had to be pureed in a blender with water to make them usable again. Make sure you seal them well in freezer bags and any other normal precautions to avoid freezer burn. 1 Egg Storage Chart. From: "Shell Eggs from Farm to Table". Food Safety and Inspection Service website » Food Safety Education » Get Answers » Food Safety Fact Sheets » Egg Products Preparation. United States Department of Agriculture. One rule of thumb that I have read in several different places: if the egg floats when you place it in a bowl (or glass?) of water, it is bad. There is an air pocket in the egg that grows as the egg ages - this causes the egg to float eventually. Personally, I have used eggs that are at least 30 days past the expiration date - they were fine. I wouldn't think twice about using your two and a half week eggs. To answer your question: there is not a magic length of time - I would discard after 5 weeks past the expiration date. In Spain, every egg has writen the last date you should eat it, so we don't have problems (if you buy the eggs in the supermarket, fresh eggs from the chicken are different). If you are afraid the egg is not good, because it has been a long time in the frisge, you can put it in a cup of water, if it floats, is not good, if it sinks, it is ok. In a more general cooking context, eggs change as they age. If you are using eggs for their leavening properties, you want fresh eggs. As a binder, they can be older. As a breakfast-y item fresher is better, because you usually want fluffy. I wouldn't think twice about two and a half weeks old. Let me put it this way. Here in Thailand eggs don't have a sell by date. They are not refrigerated. They are simply put out in plastic bags in bunches. And they taste wonderful. My guess is that they are a little bit fresher than the eggs in US supermarkets, but even so. If the egg has a crack in its shell it might spoil faster. But if the shell is intact it'll last for a quite a while. We've kept eggs for a long time and they were fine. If you're worried about it, crack one open and give it a sniff. If it smells bad, throw away the bunch. Generally, I don't really care about the sell-by date, it's not a scientifically grounded datum by any means. I prefer to rely on my own judgement. Specifically, when I'm unsure with eggs, I open them one at a time in a separate bowl or cup, to see if they look weird or smell bad. Putting them in water, to see if they float, just gives you an idea whether they are rather fresh or rather old, not whther they are edible. Also, eggs stay fresh quite long, even without a refrigerator. I used to break up eggs and put them in a plastic bottle for easier transport on walking tours in the wild. Even like that, they never went bad on me. I'm told that they have enzymes protecting the yolk, by producing H2O2, but I've never verified that. Regarding floating eggs, just because they float, it does not mean they are bad! They are just older and they have absorbed air through their shell. I brought 2 dozen eggs home from the store and immediately put them in water to see what would happen. 11 of the 24 eggs floated! You can bet I was not throwing out fresh eggs just because they floated. I also had a dozen eggs that had been in the fridge for a month, only 4 of those eggs floated! Regardless of the age of the egg, if you crack it open and it looks and smells good, it probably is good! Just, the older the egg, the more thoroughly you should cook it. I have read a household hint that says to lightly dampen a paper towel with vegetable oil and then lightly wipe each eggshell with it. That helps seal the pores in the egg, like it's original coating when it was first laid. This helps protect from moisture loss. I have a flock of free range chickens and my unwashed eggs last over 6 months in sealed containers in the fridge. I had unwashed eggs at room temperature for over 3 months with no problem at all. I had 6 unwashed eggs out of the sealed container in the fridge for 8 months and they were good to eat. Just fried up some whites from store-bought, brown, organic (I think), 3 month-old eggs, kept in a pretty cold fridge in normal paper egg-carton. They taste fine, and my cats had the same reaction they always do to the yolks, which is a couple of quick licks, then come back later when they've warmed up a bit. The taste may be a bit flatter than even the normal flat of egg whites, and possibly a little more rubbery, but this isn't a very scientific "sample." My grandmother a long time ago lived in a village without electricity, she stored them in bread flour. That way they can keep for a long time because the flour blocks the egg's shell holes so air cannot get in. You can rub some around an egg and leave it in the container. Not the answer you're looking for? Browse other questions tagged food-safety storage-method eggs or ask your own question. Can I make pickled eggs that don't require refrigeration? 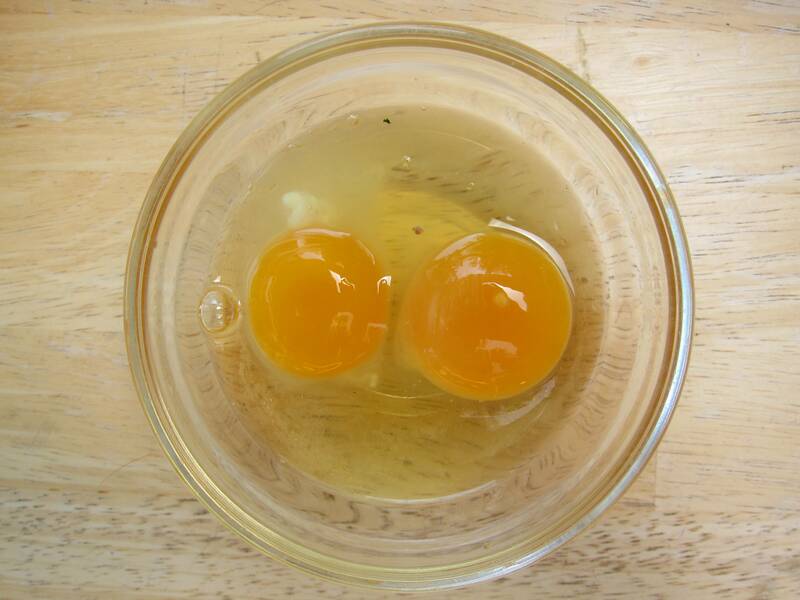 What is the danger of salmonella in 'home laid eggs' and how should I clean them? Can old eggs affect my Creme Brulee? How long can boiled eggs be stored in the fridge?